MONTEREY, California (September 26, 2017) – Overcoming an unintentional but costly bump-and-run contact incident from another competitor in the race’s opening hour, Lone Star Racing and team co-drivers Dan Knox and Mike Skeen persevered to the finish Sunday in the No. 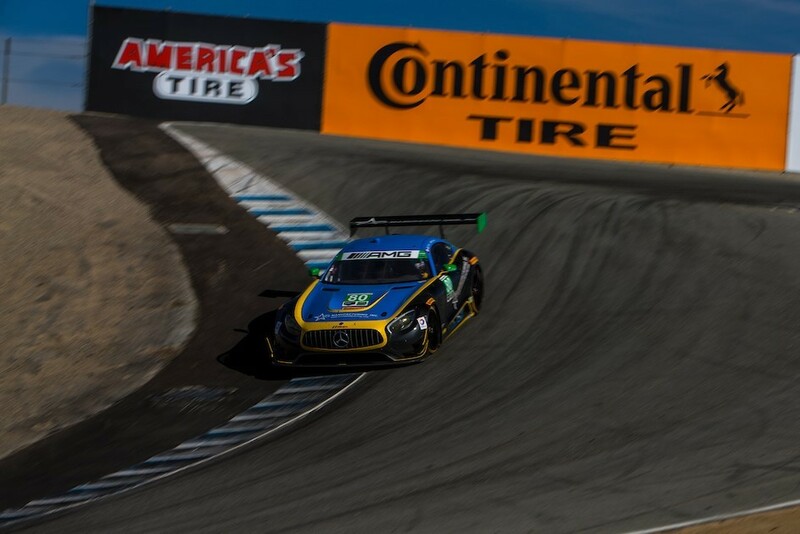 80 ACS Manufacturing Mercedes-AMG GT3 in the Continental Tire Monterey Grand Prix at Laguna Seca. Knox, Skeen and the Lone Star Racing crew never quit pushing forward in the challenging two-hour and 40-minute IMSA WeatherTech SportsCar Championship race but were hoping to leave Laguna Seca with a race result more in line with the pace and performance the team showed all weekend. After Knox qualified 15th on Saturday, Lone Star was looking for the team’s first top-10 result of the season in the final event of a 2017 schedule comprised of four select races. Instead, the early hit in Laguna Seca’s famous Corkscrew – which resulted in a penalty for that competitor – took away the team’s early momentum. The No. 80 went a lap down and, in a race slowed by just one yellow-flag caution period, the Lone Star Racing drivers and team never had a chance to make up any ground, crossing the finish line in 15th place. The Lone Star Racing team did show significant improvement in pit stops and overall execution, a stated goal of the team heading into the Laguna Seca weekend. Lone Star Racing Team Manager and Lead Engineer AJ Petersen kept his team focused and on-point throughout the challenging afternoon.